Do you watch “with” anime, or “against” it? | Mezashite! So, I’ve noticed that among fans of anime who like to be an active participant in online discussion, there seems to be a division between those who prefer to be critical and focus on the negative aspects and those who prefer to be critical and focus on the positive aspects (of mainly story and characters, but potentially art, animation, music, etc). This must not be due to any preconceptions of liking or disliking the show in question; indeed, it’s those who love anime the most who often have the most polarized opinions. Therefore, this distinction must arise from something else, and I believe that it comes from how a viewer places him or herself in regards to the anime and its creators. No story, no anime, is born of its own volition. There are always people who must create it, people with their own thoughts and feelings and intentions. It does not come from a robot or from a void. These people are professionals, experts who are paid for their work and hired for their skills, especially for leadership roles such as director, chief animator, and head writer. With the responsibility to oversee major swathes of anime production, they hold positions of trust; not just within a company, but among fans who consume their works. The reputation they build over time is important, but like all people they grow and change, and so each new anime must be viewed with an open mind. It is at this point where a fan subconsciously decides where they place themselves. Do they believe they are on the same level as an anime and its staff, below them as a passive consumer, or at a place above them looking down? If they see themselves as “above” the anime, they may feel entitled to try and pick out every flaw they can, to assume that the writers are incompetent when their arbitrary expectations are betrayed, and to think a downplayed plotline or understated character trait has been forgotten prematurely. When something doesn’t make sense to them, they assume it is the fault of the creators, and not a result of their own inadequacies. But this viewpoint is not like the color of your eyes—with a little effort, it can be changed. 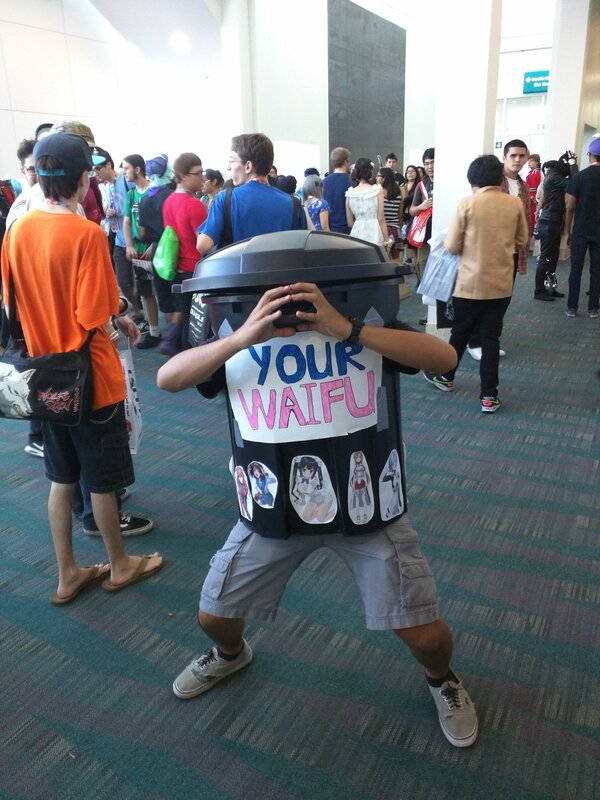 In contrast to this person, there are those who make the effort to watch “with” the anime. You understand that there must be a reason for each decision made, and try to figure out what it is. You accept that some things that happen may seem strange or wrong or inconsistent at first, but trust that with a little thought or patience it will all become clear. You know that the creators see you as an intelligent viewer who doesn’t need to be spoonfed every little thing, that your memory is good enough to remember critical events that occurred in past episodes, and that you can think for yourself when some questions are left open. I try and take this perspective as much as possible, to trust the people creating my entertainment, but also to engage with their works and try to understand the reasons and thoughts behind it. This is where I want to call attention to a school of thought, or rather a method of viewing, introduced to me by Froborr called “secondary creation”. He states that this is the standard method of viewing among anime fans, and it focuses on worldbuilding, internal consistency, and “rules”. It essentially stems from the desire to fully understand the world of the anime in question, which allows for predictions to be made more easily and creates a reference frame through which events can be understood. However, this suffers from one critical flaw that makes the entire thing fall apart: no viewer can ever fully understand a world while it is still being created and shown. It can only exist fully within the original creator’s mind. When we bring our biases and assumptions into watching anime, we try to make some set of rules based on what we see, or worse, based on what we already know. We bind ourselves to these arbitrary rules, try to put the anime on a rail, and put shutters on our eyes. Then when something outside our perception, something unexpected, happens, we refuse to accept it. We say it doesn’t make sense, that it came out of nowhere, that it’s bad or wrong or stupid. But if you just turn your head and follow the path backwards, you should be able to easily find where it deviated from the shortsighted road you created all on your own. Nice lecture so far, right? You’re probably wondering what gives me the right to say all this, or even thinking that I’m the one who should stop being conceited and telling people how to watch anime. But I do have my reasons, which I’d like to share with you. I translate anime. Hold on, just hear me out, I’m not saying I’m better than anyone just because I know a bit of Japanese. When I sub an episode of anime, I first watch it. Then I watch it again with just the audio to time each line. Then I watch it one line at a time to translate, often repeating the same line multiple times. Then I watch individual lines which need me to check the edits. And finally I watch the entire thing through for one final check. That’s at least four times for every single episode. When I translate every line, I have to keep in mind who’s speaking, who they’re talking to, what tone they’re using, and most importantly, if this line relates to anything that has ever been said in the past or might ever conceivably be said again in the future. That means that I have to constantly keep a working memory of everything in the entire series that has happened. And once more, every single one of these lines was written by a real person, with thoughts, feelings, and intentions of their own. And it’s not just them, but also the characters themselves. What does a character mean when they say “hello”? What are they thinking and feeling? What are they trying to convey? I need to consider this in the context of everything they’ve ever said, done, and thought before, and everything they might do for the rest of the series. I try to keep an intuition about it because you can’t realistically think about it overtly every time, and it helps that I watch each episode so many times. In doing this over a long time, I feel like I’ve come to understand the writing of anime better than the average viewer. And it’s not just because I’m trying to force my knowledge or experience onto the script, but rather it’s the skill I’ve developed to always keep my mind open and flexible when watching. I try to have empathy for the creators and writers, to stand in their shoes and see what their intentions are in making an anime. When something happens that I didn’t foresee, I look for events in the past that could’ve pointed to it. When I don’t find any, I think of possible explanations that are consistent with both what has happened before and what happened now. And if I can find a logically consistent explanation, I accept it. I trust that the creators see me as an intelligent viewer who can reason through things for myself and come to a satisfying conclusion. I see no need to fight them, to assume that they messed up and made a mistake or are trying to hurt me. We’re all in this together, and I would rather create something beautiful than destroy it. And it’s not just the anime that I sub. Whenever I watch anything, I first keep an open mind and let my emotions take the reins. Do I feel happy? Am I angry? Did it make me cry? It is only after that first viewing that I go back and try to figure out why I felt that way. Everybody feels emotions and can share them, but it takes a measure of self-understanding and objectivity to take a step back, put your heart aside, and use your mind to cut through the anime to find the underlying causes of your emotional response. While doing this, I try to keep a scientist’s perspective. When doing research, you look through the literature to find as many related studies as you can, and then you collect all the supporting and opposing evidence together to find a path to the truth. But if you find a publication that doesn’t agree with your preconceptions, you must take it as a fact and be the one to update your beliefs. The truth will not change—we must be willing to change ourselves around it. In terms of anime, this goes back to the point of secondary creation, and how you should not intentionally narrow your viewpoint to a limited set of rules that in all likelihood are incomplete and at worst entirely wrong. It’s hard to do this. Not because it’s difficult, but because it puts you in a position of vulnerability. It’s much easier to hate something and point out its flaws than it is to be forced into a defensive position and explain why certain parts are good. When you attack something, you point a spear outwards, and if anybody attacks back you’re ready. When you defend something, you’re opening up your heart to scrutiny, and the internet is not a kind place. But when you love something, it is worth putting yourself on the line to spread positivity and optimism. It’s worth taking a few hits to make sure your message is heard, and even if the whole world turns against you, know that the anime will always have your back. Now, I’m not saying that you should overlook the flaws of a show. Instead, you should look under the flaws, to try and dig out why they exist, and to try and see if in reality they really aren’t flaws at all, but just misunderstood. Everything is there for a reason. You may not agree with it, you may think it’s stupid, but it is most certainly not random or pointless. Remember that you are just one person, and the anime is another person’s attempt to communicate with you. Open your mind and heart, really try to listen and understand what’s being said, and you’ll often find a rich and undiscovered world of meaning behind it. Thanks for reading. Keep loving anime. Nice essay, but none of this excuses calling Rola “Laura” or the countless occasions in which you inject your own original meaning and connotation into the dialog where there was no basis for it in the Japanese. If you want to have empathy for the writers, stop trying to change their work. I actually have a hard time discussing/talking about anime because of a few things. To start of, like you said, people watch it on an auto-mode and dismiss everything like anime is written by robots and not human beings. Then there’s how people overuse specific terms and words. Every show with a female MC is called “moe”, people treat “plot” and “character development” as things that exist only on serious settings and ignore how much “filler” (strongly disagree with how this word is used) episodes help to create a connection between the viewer and the show or how we can see development with character interactions with this kind of episode (Ojamajo Doremi comes to mind). I know you’re a Okada fan, so I’ll use Gundam Tekketsu as an example (don’t know if you actually watched the ending, so I won’t spoil it), but I saw lots of reactions of people saying the last episode didn’t make sense and I can’t understand why. It was ending that made sense for the series. All the themes from the show were there – it was the most Tekketsu thing Tekketsu did – and actually respect its Real Robot origins. It’s basically what you said about expectations being broken = bad writing. Kinda disheartening. Anyway, it’s always nice to see good discussions about anime. I think it’s a great medium and better than people give it credit for. Lots of creativity and because of the way they make anime you can actually understand the specific style of each writer, animator, director, etc. Not that you should watch and like everything (not really a fan of isekai shows myself), but if your point is: good criticism comes from an open mind, I do agree with you. Back in my day, the word “filler” meant those 100 episodes of Naruto you could skip because it wasn’t in the manga. It’s a product of the manga (or LN or game) to anime conversion used to stall for time. Basically it might expand on the characters, but it won’t move the story or make significant developments. That’s usually what happens, but sometimes you have the original source picking up on some of the new things and keeping it for later (I think Hinata might’ve kept her special power she made in that one episode?). It’s usually made without the original author. Anything else that is part of the source, like every episode in an original anime, is canon and not filler. I mean, it would be silly to call the majority of Slice of Life shows filler because there’s little to no development, right? I’ve seen S1 of IBO but not the second yet, but I have a friend who’s very into it who tells me that IBO fans and 00 fans stand opposed. He says that the end of 00 was very action-packed and exciting, but the rest of the story was empty and fairly shallow. From what I’ve heard and seen, IBO is the opposite. Without repeating myself too much, Okada makes very tight endings to her stories, tying up exactly what’s needed but leaving enough to make the viewers think about the rest of the consequences on their own. There was also this article about it on ANN, but I feel like the author misses the details and focuses more on trying to convince Gundam fans that IBO is legit. You can check it out for yourself. I can understand why people use it for long running shounen anime, but I dislike how it and “plot” are used against SoL. I mean, people complained about K-ON not focusing on music, because that was supposed to be “the plot” and ignore how the interaction between the characters is what the series is about (this applies to other shows). And it’s funny that your friend said that. I’ve watched all Gundam shows and, imo, 00 had some of the worst endings – though I respect how passionate director Mizushima is, lol -, while IBO was one of the best. Anyway, really enjoyed the article. Thanks for the recommendation. In my case I tend to watch anime as both each element and a sum of all its parts when it comes to original anime, because it’s more personal than an adaptation. I make some exceptions when the person in charge of adaptation, i.e. the series compositor, has a interesting creative record. During my time watching anime I never cared about it being ‘good’ or being ‘bad’, I just wanted entertainment and never care about pointing out things. This changed when I realized anime was animation and also cinema. Because cinema is one of the major arts it has innate narrative and expression, even if it the most commercial stuff. This made me want to conect both with the work (the sum of all creative efforts) and the person behind the project (the creative efforts individually per key people in charge). Since then this ‘method’ of watching anime has given me nothing more but pleasure and more hunger to know more about the whole industry in japanese animation (I wish I knew japanese and read stuff about the whole industry , but also more interviews about the directors, the series compositor, the musicians and more personalities). Finally, I find pretty curious that nothing of this could have been developed within me if it wasn’t for certain tcg-friendly anime. Lately, I have come to realize I tend to overlook one important aspect of the creative components of making anime: the animators. Perhaps it is time for me to dwell deep into it and the major persons on it. Not sure If I can give an answer that fits with the discussion, but I just watch anime for fun, so if I were to label it as discussed it would be watching “with” anime. I am not critical at all of what I watch. I just watch what I enjoy, and judge every show on its own merit. I never judge shows in comparison to other shows, even ones that are the same in genre or theme. Because of this though, I wind up enjoying a lot of shows that people hate or look down on. I also frequently dislike shows that are revered by everyone else because I watch for enjoyment. Yeah, I’m not trying to say that everyone should spend every single anime trying to dig in and pick out details of the plot or else they won’t enjoy it. I also watch average and ridiculous anime like Btooom for the excitement, or Mahouka Kouou no Rettousei because it’s funny how perfect Onii-sama is, or Aldnoah.Zero season 2 to see how they’ll ruin it at the end of every episode. It’s great if you can just enjoy most anything with an open mind. But if you want to then debate about actual quality and not just your opinions on it, you have to put in the requisite effort and be ready to have someone refute you. It’s just a tiny bit of self awareness about the difference between fun and good. I guess that’s the thing then. I never debate quality. To me fun = good. If I don’t enjoy watching it, it is a bad show to me no matter how much critical acclaim it gets. If someone refutes me, that’s their opinion and I don’t begrudge them that. You’re taking the writers’ capacity of making mistakes away from them. Everyone does everything with the ultimate belief that they are in the right/it’s the best they could do given their situation. That’s a very interesting point that I missed, so thank you for bringing it up. It’s so important that I think we need to be clear about what we mean by mistake. We can probably agree that saying Akira-kun has a little brother when in fact he has a little sister is a real mistake. But the script for any given episode goes through so many people it would be hard to find an honest to goodness error like that. So it’s probably more like we’re talking about events that are later dropped or changed in some way. I can think of a couple examples. 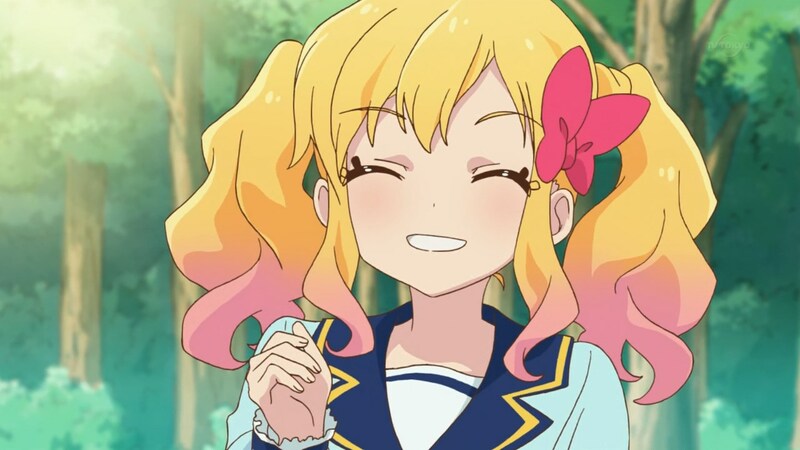 In Aikatsu S1, it’s said that only legendary idols can do four special appeals, which Mizuki does. This is never brought up again, despite Ichigo (the younger idol following after her if you haven’t seen it) basically becoming a legendary idol herself. Why did this happen, and was it a mistake? The boring reason is that multiple special appeals were dropped as they moved away from imitating the arcade game. However, they never said that doing four was the only way to be legendary. There are other ways too, and that’s what Ichigo did. You could say that this failed the Chekhov’s Gun test, but it’s not inconsistent with the plot, nor does it create any loose ends. Another was in Go Princess Precure (long series like these are easiest to find “mistakes” in, since you’re usually going to be fine for one or two cours shows). In it, a villain was defeated early on and intended to be gone forever. But then they changed their mind and brought him back, which dramatically improved the potential ending. Was it a mistake to “kill him off” in the first place? Well, he was brought back using methods consistent with the show’s internal logic, and it did not create some sort of continuity error or paradox. They used their established rules to change a past decision. I wouldn’t call this a mistake either, since it was worked out in a way that made sense. Let me know if I didn’t answer your comment or want to add anything. Ay, found my tab for this open. I take a step back and look at how other people enjoy things. When I go to a Red Sox game, I am there to root for the home team. I especially go to watch the Orioles or Yankees get smashed. Both sides will screw up, both sides will make great plays. At the end of the day, in fact, the next day, we all show up again to watch and enjoy the highs and lows. Its the journey and not the destination. Not every game will be the best, sometimes our favorite players and teams will completely fail in new and fascinating ways. And we all enjoy it together, even if we’re opposing fans. Same to anime. I love the Super Robot genre, but it is dead. I don’t lament its passing, and would welcome its return. But I don’t expect to tell people that hate such stories that I cannot talk with them. Experiencing anime and trying to communicate ourselves to one another via anime is what we’re here for. You don’t actually learn a lot about a person when they only like the ‘good/great’ anime. Wow, you love show everyone else loves? Fiiine. Oh, that niche show only 8 people watched that wound up bombing hard? Let me discuss with you the one scene that unexpectedly resonated with me!! There’s the core, that’s the soul of the matter. People who watch ‘against’ anime are there much less for the Communication aspect. They might just be comedians, they could be so young they’re just trying to get attention. For all you know I’m 6 years old! In my mind I’m forming the idea that I don’t mind if you enjoy taking apart bad anime if I know where its coming from and where your values are. There are many episode review blogs that seemingly take a dump on everything, always, and I can’t touch their soul through the constant attempts at jokes and edginess. I will gladly spend an evening explaining why Gunbuster 2 is pleb tier compared to Gunbuster, proper. But I can equally explain the most potent emotional moment that got deeper to me than I was prepared for. The “Against” people dare not show their humanity. I’m bad at words, I just hope something of my idea got through there.